Click here for full budget proposal. If voters choose this elector petition at the financial town referendum (FTR) on May 19, taxpayers will see a tax levy reduction of 2.9%, with a projected tax rate of $15.96. That would be the first time the rate has been below $18.00 since 2012. A valuation of all property in the town that has shifted the tax burden significantly, particularly onto residents of North Tiverton. Concern that the Town Council plans to use ordinances and the charter review process to reduce voters’ ability to decide what to do with revenue from the forthcoming Twin River casino in town and even our ability to vote on annual budgets at the FTR. Individually and as a group, the council members have given taxpayers reason to worry that our opportunity to control Tiverton taxes is under threat. Some plans for revenue from the casino would leave little of it for tax relief, if any. The fact that the council chose not to estimate a single penny of gambling revenue in its budget request suggests an intent to keep that money out of taxpayers’ hands. At the same time, the council voted to explode municipal spending by almost 10%. Additionally, some proposals to change the Tiverton Home Rule charter would strip us of our right to vote on annual budgets through the FTR. The town solicitor has stated that the council can refuse to put charter proposals from the elected Charter Review Commission on the ballot for voters’ consideration, and some council members have indicated that they are likely to do just that. 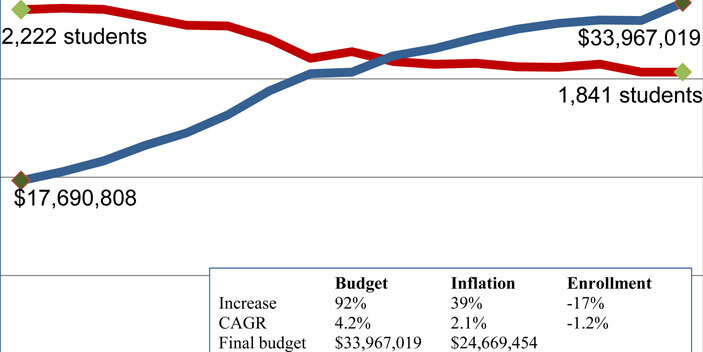 Even putting aside unavoidable increases in debt (with the school bonds), trash pickup, health insurance, pensions, and so on, the council sought an 8.0% increase in its budget. The Budget Committee, with four members appointed by the council instead of elected, rubber stamped all of the spending and even added to it. Despite the Budget Committee’s estimating additional revenue from the casino, the increase in spending will soak up much of the new taxes that the casino is already starting to pay. 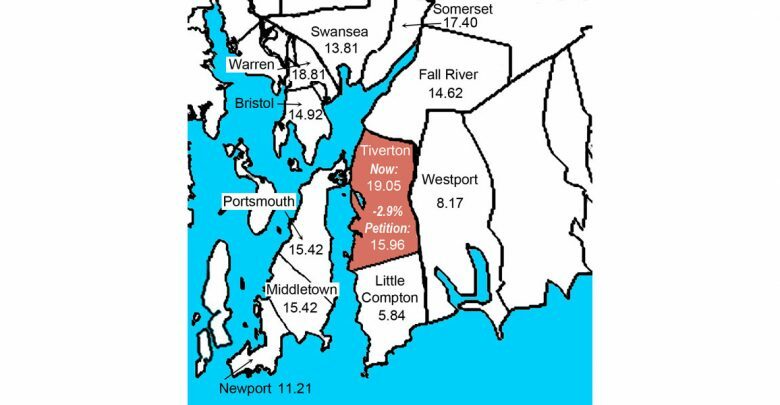 By reducing spending and using realistic revenue estimates, this petition will ensure that most Tiverton residents experience little or no tax increase this year, despite the increased value of their property. To address spending, this petition level funds general supplies to the amounts approved for the current fiscal year and puts limits on other areas of spending, notably on lawyers. It does not fund an unnecessary and expensive full-time planner, a position that voters have rejected time and time again, and it requires the council to find labor savings to make up for the huge increases in the cost of employee benefits. The petitioner’s budget also places a cap on the Town Council’s requested donations to outside organizations and moves those funds to improvements in an area for which the town actually has direct responsibility: the recreational facilities for Tiverton’s children. On the revenue side, this petition uses the gambling revenue estimate that the state Division of Lottery suggested, as well as a more-realistic estimate of revenue from police details for which the casino will be required to pay. The petition also increases revenue from the stamp tax by reducing the unauthorized gift to open space, which has been given outside of the budget for years. Finally, the petition brings the surplus reserves on the town side down to the 3% required by the charter. 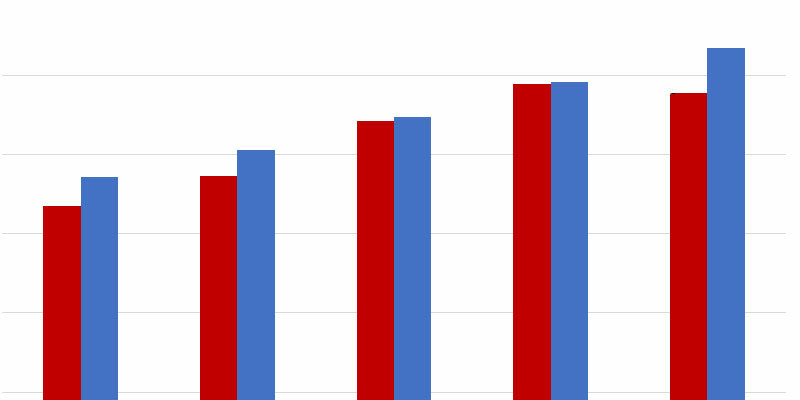 The 3% requirement is calculated based on both the municipal and the school budgets, yet they do not account for the surplus balance on the school department’s books. The school department has been running surpluses averaging around $1 million per year, and the last audit put its surplus balance at $4.4 million. Combining these funds would put the town’s reserves at 13%. During this budget season, people will no doubt argue that it is reckless to budget for revenue assuming that a building will be completed and a business will be up and running. In general, the petitioner agrees. However, not only is the state estimating revenue for its own budget, but the Budget Committee’s proposal already does the same for Tiverton. This petitioner simply increases the estimate to the state’s suggestion. Doing so is not reckless. Given the buzz about the casino, the estimate provided by the state Division of Lottery seems conservative even as a starting point. As a cushion, we expect that the town will end this fiscal year with additional money in its reserves, from school capital reimbursements and various other permits and fees. If something goes wrong, the charter allows the council to dip into the reserves based on a budget emergency, and they can easily be replenished with gambling revenue the following year, which should be at least the $3 million minimum written into state law. 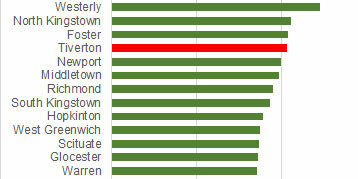 Despite years of elector petitions with low tax increases, Tiverton’s taxes are still very high. The sudden shift of the tax burden to families who weren’t expecting such a large increase will therefore impose real hardships. The needs of the people of Tiverton should always come first, and taxes shouldn’t prevent us from managing risks in our own lives. Many of the voters who approved the introduction of a casino on the edge of our town did so expecting tax relief. This petitioner’s budget would begin making good on that promise despite the schemes of those who are always looking at ways to add to the town budget.